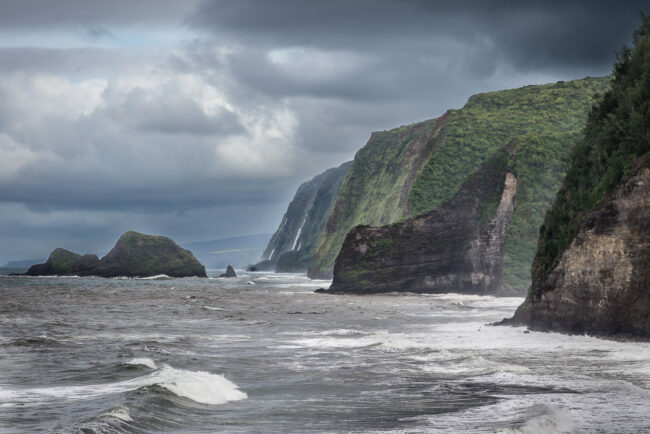 Directions: Pololu Valley is on the northern side of the island of Hawaii. Take Rte 250 or 270 up to Hawi. Then continue on Rte 270 to the east as far as the road goes. Park at the side of the road and hike (15 minutes) down to the valley floor. 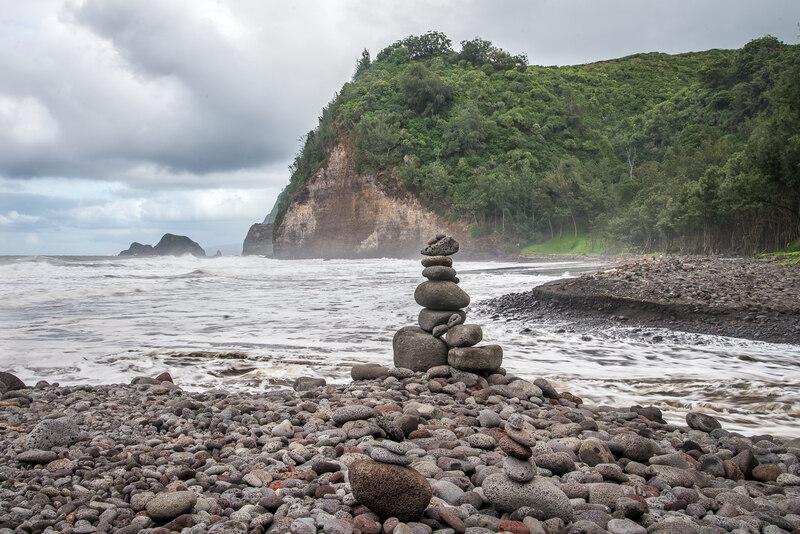 You can get reasonable views from the trailhead, but as long as you are moderately fit, and don’t mind get your shoes or boots muddy, take the trail down the valley and rocky beach. Just don’t forget that you will have to hike back up again. On a windy day the surf can be very rough here, making the views even more spectacular. Carry your tripod with you, especially if you want to smooth the water in some of your shots. For the shot taken here I used my Nikon D600 with my trusty 24-120mm lens at 92mm focal length. I could have zoomed in a bit more for even more compression as I cropped this picture about 15% in post. I shot this at f/13 and could have possible have gone for an even smaller aperture to get a slightly deeper depth of field.